It’s a question we get asked a lot: ‘What safeguarding training do I need as a dentist?’ We’ve pulled together all the necessary information to answer that question in one place, so you won’t need to spend hours sourcing the right dental safeguarding training for you and your team. Safeguarding training is essential for all individuals, from professional to volunteer, who work with children and/or vulnerable adults, or come into contact with children and/or vulnerable adults as part of their role. Every member of the dental team needs to have dental safeguarding training for this reason. 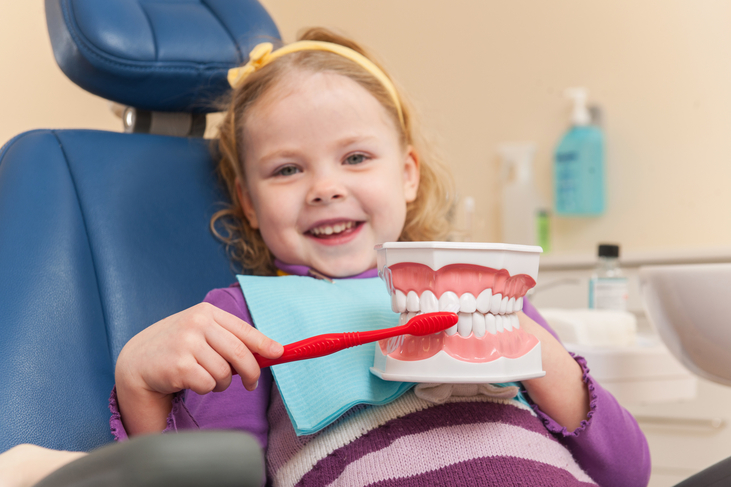 Dental safeguarding training covers elements of child protection, including how to identify abuse and neglect, how to respond correctly to concerns about a child’s welfare, and which guidance, laws, and legislation you should be familiar with if you work with or around children. It should also include safeguarding for vulnerable adults and the differences in practice for these individuals. It is a requirement of the Care Quality Commission (CQC) that every member of the dental team has an up to date safeguarding training certificate. Do dental safeguarding training certificates expire? Yes. All verifiable safeguarding certificates will have an expiry date, as the laws and guidance surrounding safeguarding change frequently and you need to be aware of these changes as a professional. Typically, safeguarding certificates have a lifetime of 1 to 3 years. Each of our verifiable online dental safeguarding training certificates expires after 2 years. Do I need to take a specific safeguarding course for my role in the dental practice? You will need to take safeguarding training that is suitable for the responsibilities and expectations of your role. For example, a dental receptionist will not require the same level of safeguarding training as a specialist paediatric dentist. However, everyone working in the dental practice, including admin staff, volunteers, and trainees, will need to take an introductory level safeguarding course. You can take a safeguarding course with any verifiable training provider, but it is always best to choose a provider who specialises in dental safeguarding training. Our online dental safeguarding courses are recommended by the British Dental Association, and each course is worth 3 hours of verifiable CPD under the General Dental Council Lifelong Learning Scheme, so we like to think that our courses are the best choice for dental teams in the United Kingdom. Just ask any of the hundreds of dental professionals we’ve already trained! What safeguarding training do I need as a dental receptionist (incl. dental admin staff)? As a non-clinical member of the dental team, you are still required to take Level 1 safeguarding training, but you do not need to have further training unless deemed necessary by your practice manager. An introductory safeguarding course like our Introduction to Adult/Child Protection online training course is the most appropriate training for you. This covers both child protection and vulnerable adult safeguarding and meets the needs of Level 1 safeguarding training as outlined in the Intercollegiate Document. 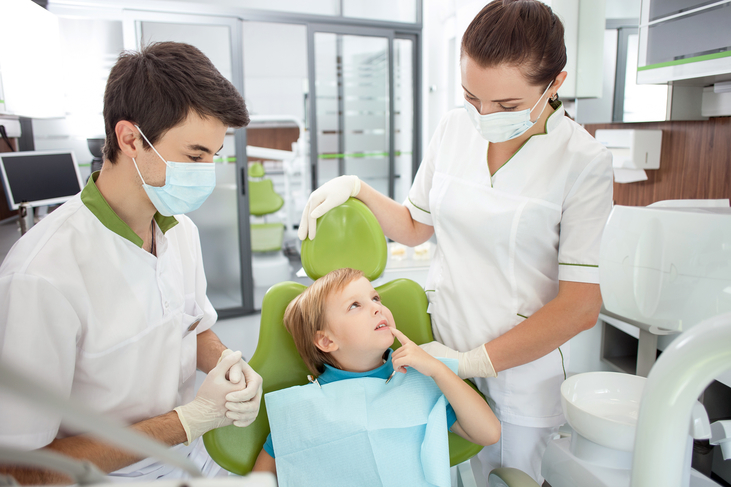 What safeguarding training do I need as a dental nurse? The Intercollegiate Document states that all dental staff working in a clinical capacity must take safeguarding training at Level 2. Therefore, as a dental nurse, you will need to take an introductory level and a further level safeguarding course. Our Introduction to Adult/Child Protection online safeguarding course gives a Level 1 introduction to safeguarding, and this knowledge is then built upon in our Further Adult/Child Protection online safeguarding course. Taking both courses together will give you the appropriate level of safeguarding training required for your role. 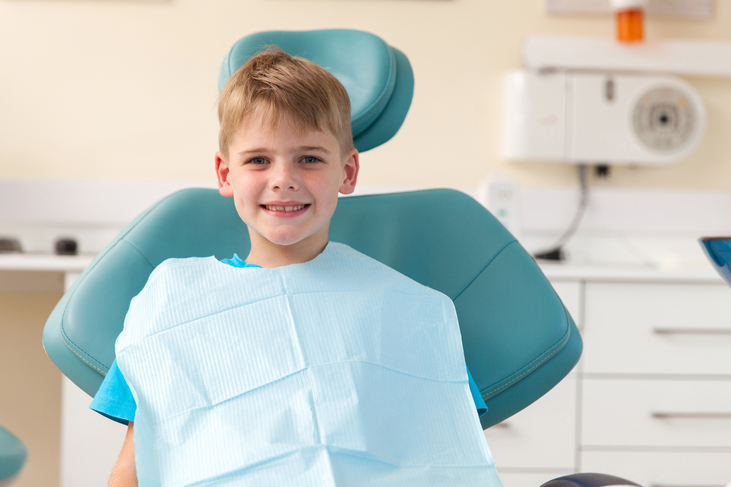 What safeguarding training do I need as a dentist? The Intercollegiate Document states that all dental staff working in a clinical capacity must take safeguarding training at Level 2. Therefore, as a dentist, you will need to take an introductory level and a further level safeguarding course. If you work in a specialist role, you may even require dental safeguarding training beyond these levels—but Level 3 dental safeguarding training and beyond will be offered in a face-to-face training environment. What safeguarding training do I need as a trainee dental professional (incl. work experience, interns, etc.)? Even while training or on work experience, you are still a part of the dental team and therefore will need to meet the CQC safeguarding training requirements. At the very least, you should have a Level 1 safeguarding certificate, but if you are training in a clinical capacity then you will also require a Level 2 safeguarding certificate. Our Introduction to Adult/Child Protection online safeguarding course gives a Level 1 introduction to safeguarding suitable for non-clinical staff. This knowledge is then built upon in our Further Adult/Child Protection online safeguarding course for clinical staff, or staff taking on extra responsibilities for children, vulnerable adults, or safeguarding. Taking both of our courses together will give you the appropriate level of safeguarding training required for a clinical role. What safeguarding training do I need as a volunteer? Even as a volunteer, you are still a part of the dental team and will most likely be interacting with patients and families. Therefore, you require at least a Level 1 safeguarding certificate. 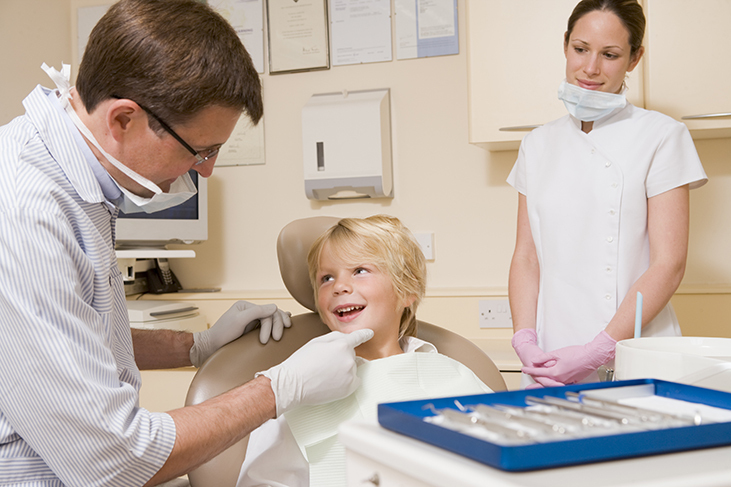 What safeguarding training do I need a specialist dental professional? Depending on the nature of your role, the safeguarding training needs of a specialist dental professional will vary. As a minimum, however, you are required to have safeguarding training at Level 2. Training at higher levels cannot be taken online, so you must get in touch with your practice manager or NHS Trust to find out where you can take a safeguarding training course beyond Level 2 in your locality. Our Introduction to Adult/Child Protection online course gives a Level 1 introduction to safeguarding, and this knowledge is then built upon in our Further Adult/Child Protection online course. Taking both of these courses together will align with Level 2 safeguarding training requirements. Where can I take dental safeguarding training? It is perfectly acceptable to take online safeguarding training up to Level 2, which is the level required in most general dental practices. The Child Protection Company is a specialist safeguarding training provider offering courses recommended by the British Dental Association. Our Introduction to Adult/Child Protection and our Further Adult/Child Protection online safeguarding courses are recognised by the General Dental Council Lifelong Learning Scheme as being worth 3 hours of verifiable CPD per course. We have trained hundreds of dental professionals in the United Kingdom and helped them to pass their CQC inspections with flying colours. For more information about our dental safeguarding courses, please click here to browse the web page. If you would like to speak to our friendly customer support team about your dental safeguarding training needs, please email help@childprotectioncompany.com, or call us on 01327 552030 today.